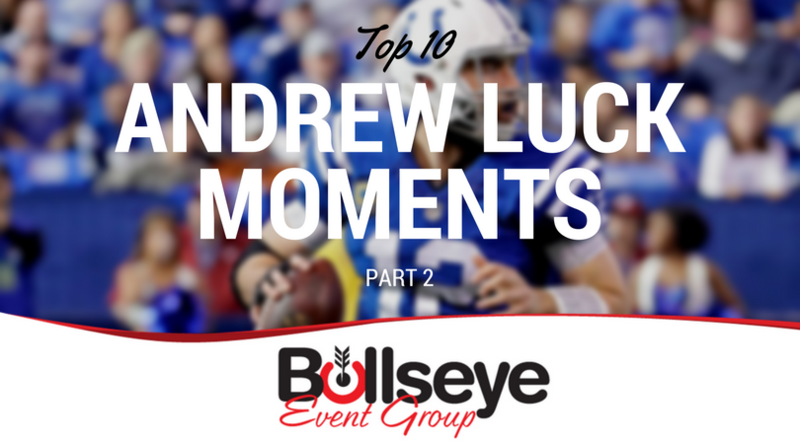 As the Indianapolis Colts wrap up offseason activities and prepare to break until training camp, we’re killing the time by looking at quarterback Andrew Luck’s Top 10 moments with the horseshoe, part two. In the 2015 NFL season, the struggling Indianapolis Colts were headed into a matchup with the at-the-time undefeated Denver Broncos, in what would eventually be Peyton Manning’s second Super Bowl winning season and his final season as a quarterback in the NFL. Sitting at 7-0, facing the 3-5 Colts, the Broncos were heavy favorites in the game. Despite solid performances from Peyton Manning and the Denver defense, Luck looked nearly flawless, throwing for 252 yards and two touchdowns without any turnovers, including a drive that set up kicker Adam Vinatieri for the go-ahead field goal that would eventually win the game. Luck’s scramble at the beginning of the 4th quarter to help keep the team alive was one of the signature moments of the game, as the Colts took down the undefeated Broncos 27-24. Luck’s rookie year was full of magical moments, including this memorable game in Detroit in early December. Sitting at 7-4, the Colts were looking to return to the NFL Playoffs just one year removed from their abysmal 2-14 campaign in 2011. In their first year of the post-Manning era, Luck did not disappoint. Despite throwing three interceptions, Luck also threw for 391 yards and four touchdowns, including the game-winner to wide receiver Donnie Avery. Getting the ball back with 1:07 on the clock, starting at their own 25-yard line and down 28-33, Luck led the team marching down the field, snapping the ball with 0:03 left on their final play for a 14-yard touchdown to Avery, giving the Colts a 35-33 victory (with the extra point). Luck’s throw and subsequent celebration in the end zone with Avery was one of the signature moments from the 2012 season. The decision in early March of 2012 to release franchise quarterback Peyton Manning and subsequently draft Andrew Luck with the 1st overall pick in the 2012 NFL Draft was one that sent shockwaves through the NFL. In October of 2013, the Denver Broncos visiting the Indianapolis Colts marked the first official game Peyton Manning would ever play against his former team, in an emotional game for Manning and Colts fans alike. After the pre-game emotions had subsided, it was time to focus on the game. In their first ever head-to-head matchup, the rookie outmatched the veteran, as Luck would throw for 228 yards and three touchdowns in a 39-33 victory over the 6-0 Denver Broncos, pushed the Colts to 5-2 on the season. In early 2012, in his first year at the helm, head coach Chuck Pagano announced he was facing a battle with leukemia, a form of cancer, thus leaving offensive coordination (and current Arizona Cardinals head coach) Bruce Arians as the interim head coach. And in the Colts first game following the announcement, the team played for Chuck. Down 21-3 at halftime to the Green Bay Packers, the Colts would embrace the new motto of the season, “ChuckStrong,” by storming back to take the lead early in the 4th quarter. And after allowing Green Bay to go up 27-22, the Colts would close the door for good, with Luck tossing a touchdown to wide receiver Reggie Wayne, donning his signature orange “ChuckStrong” gloves, to put the Colts up 30-27 with just 35 seconds left, giving them the eventual victory and pushing the team to 2-2, and 1-0 in Pagano’s absence. Undoubtedly the most iconic game thus far of the Andrew Luck era, the Colts found themselves down 38-10 to the Kansas City Chiefs in the 2013 Wild Card round of the NFL Playoffs. The following charge and victory for the Colts, led by Luck, would go on to become the second largest NFL playoff comeback in the history of the league. Indianapolis would score four touchdowns in just over 15 minutes of game time, but would still find themselves down 44-38 with 5:36 left in the game. Luck’s 64-yard touchdown pass to wide receiver T.Y. Hilton, however, would give the team the 45-44 Wild Card victory over the Chiefs. But it wasn’t the 64-yard touchdown that would go down as an iconic image for Colts fans, but Luck’s incredible fumble-recovery-scramble with 10:38 left in the 4th quarter to bring the team within three, a 41-38 lead by the Chiefs. What are some of your favorite moments from Andrew Luck’s career with the Indianapolis Colts so far? 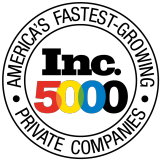 Comment below or tweet us at @Bullseye_Event!